WASHINGTON — President Donald Trump will sign a memo Wednesday establishing a pilot program to better integrate unmanned aircrafts into national airspace, the White House said, hoping to lay the groundwork for more modern regulations to keep up with a society keen on drones. According to the White House, unmanned aircraft now outnumber manned aircraft, and more than a million drone owners have registered with the Federal Aviation Administration. The memo directs the Department of Transportation to create the Unmanned Aircraft System (UAS) Integration Pilot Program, with the goal of bringing state, local, and tribal governments a "voice and stake" in developing federal regulation frameworks for drones. "UAS present opportunities to enhance the safety of the American public, increase the efficiency and productivity of American industry, and create tens of thousands of new American jobs," Michael Kratsios, Deputy Assistant to the President at the White House Office of Science and Technology Policy, told reporters Wednesday morning. Transportation Secretary Elaine Chao praised Trump's "commitment to foster technological innovation" in a statement Wednesday. Uses for drones could include "assessing damage from natural disasters such as the recent hurricanes and the wildfires in California," she suggested. The pilot program consists of three parts, Kratsios said. State, local, and tribal governments will propose and evaluate new models for integrating commercial drones into their communities, with the help of the Department of Transportation, FAA, and White House Science and Technology Office. 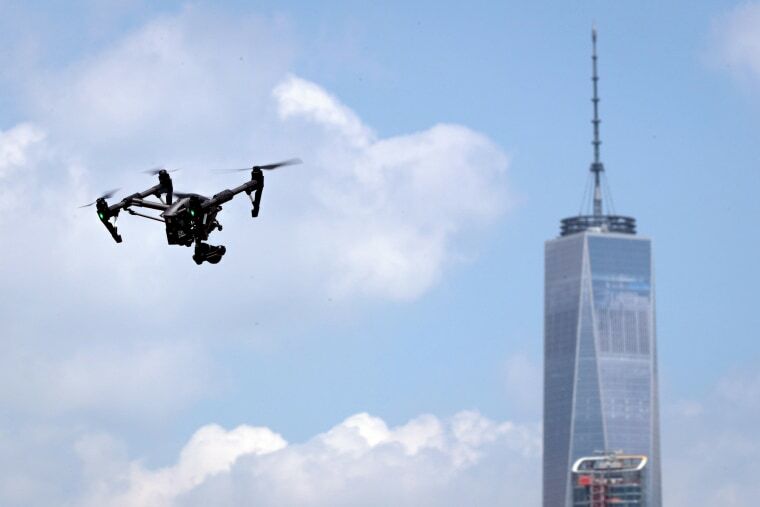 Those proposals could include operating drones in ways currently restricted by current regulations, including flying beyond visual line of sight, nighttime flight, and flights over people. One city could propose a package delivery option that would involve drones flying between 2 a.m. and 4 a.m. on Tuesday and Thursdays, a senior administration said. Another could focus on using these drones as a new tool for first responders. "Each locality will have a different type of program that could work for them," the official said. Data from the programs, which the memo directs should begin within a year, will be used to assess what works, what doesn't and how future regulatory frameworks can better include drones going forward.